TUCSON, Ariz. (Sept. 18)— The KWR team of Kyle Wyman and Bryce Prince are headed to Barber Motorsports Park this coming weekend for the tenth and final round of the 2018 MotoAmerica Championship. Wyman will ride his #33 KWR Yamaha Superbike while Prince will ride the #74 RiderzLaw/KWR Yamaha YZF-R6 in Supersport. Wyman heads into Barber 8th in series standings, and is looking for redemption at the Alabama circuit, after a practice crash in the 2017 event ruled him out for the weekend, and ultimately the season. A former Harley-Davidson XR1200 race winner at Barber, Wyman looks to put his KWR Superbike back up front to cap off the season on a high note. 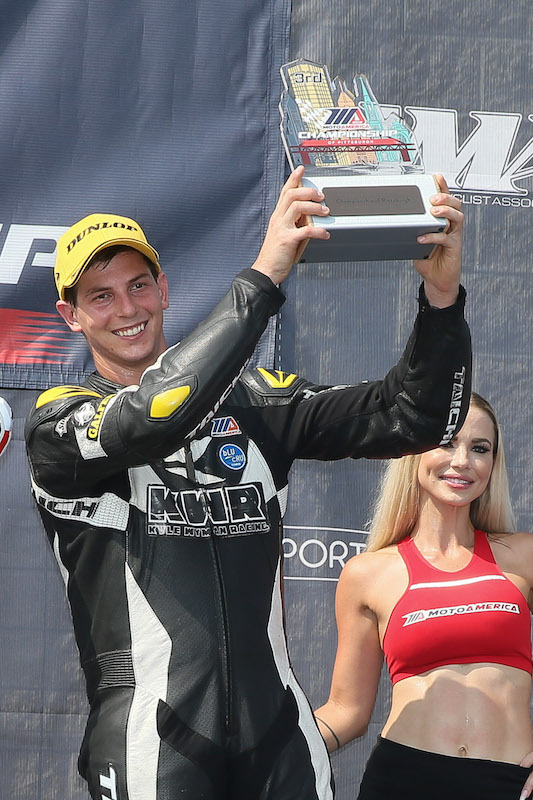 Bryce Prince heads into Barber with a shot at finishing 3rd overall in the MotoAmerica Supersport Championship, as he is currently in a three-way tie for 3rd with fellow competitors Valentin Debise and Nick McFadden.